Music to Your Ears Productions teamed up with Partymonstas.com , and Dub V Nightlife to throw the 2010 Blue N’ Gold Tailgate. 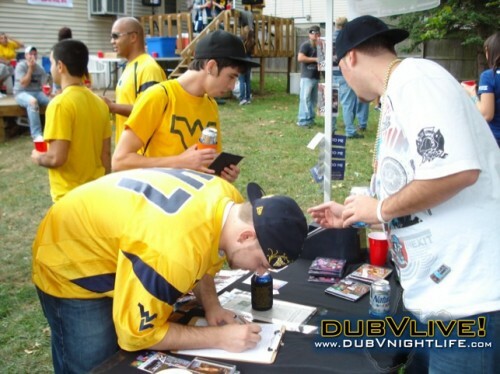 WVU Football fans enjoyed FREE Shift Ace Pizza, beer, and music of 66 240 and Soundvizion records. View 66 240 performing his WV hits including the brand new 2011 Gold N Blue!